Keeping your Porsche well-maintained is our top priority, and we offer great specials on a full range of tire services periodically that could help you to save money on your vehicle’s tire maintenance and replacement needs. At Porsche Bethesda, we understand the critical nature of tire condition on your vehicle’s performance, maintenance and safety capabilities. With regular use of your Porsche, air can escape the tires, and tire pressure will slowly decrease. 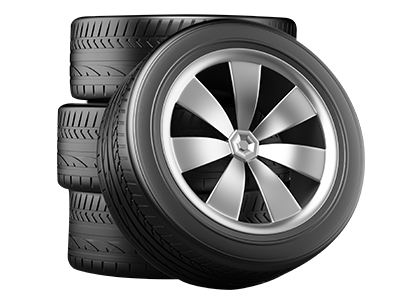 Tread wear will also take a toll on the condition of your tires. When tires are not properly inflated and when tread thickness is reduced, you will notice that it takes longer for your vehicle to slow down and stop. Skidding and sliding may become more problematic, and this may be particularly true when roads are slick. Fuel economy may decrease, and you may discover that other mechanical and powertrain components develop wear more quickly. Taking great care of your tires is essential, and you can count on us to help you with all of your maintenance and replacement service needs throughout your ownership period. 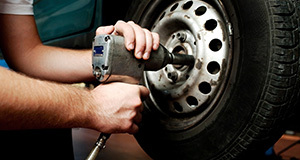 Porsche Bethesda is your source for quality tire services. While our certified technicians have received considerable training on the care of all current and older Porsche models, we also can complete excellent work for tires on all makes and models. In addition to ensuring quality results through the skills and know-how of our team, we also offer convenient service hours and have an excellent location in the heart of the Bethesda area. Many of our Porsche customers rely on the advice and guidance of our technicians to keep their vehicles properly maintained over the years. 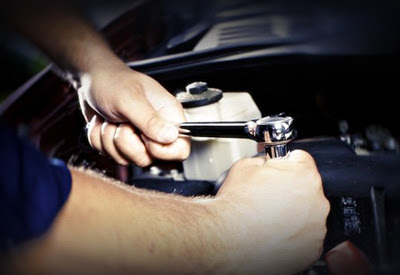 You may be one of our customers who visits our dealership and who knows exactly what needs to be done to your vehicle to keep it running well, or you may request advice from us about the proper care of your vehicle. Our Porsche service team is focused on helping each of our valued customers keep their vehicles in wonderful condition, and we are ready to provide you with guidance on necessary or recommended tire services. In order to keep your vehicle’s tires maintained properly and to extend their life, they must be inflated at the proper air pressure on a regular basis. They also may require periodic rotations, and they need to be balanced from time to time. You can count on us to help you care for your tires and to maximize their life as much as possible. When the time comes to replace your vehicle’s tires, remember that our service center is known for using high-quality supplies and parts for all services that we complete. This extends to tires. To ensure quality, OEM parts are essential. These are the same types of parts and supplies that the original equipment manufacturer used in the assembly of your vehicle. They have been created for use with your type of vehicle with superior materials to ensure longevity. Our auto service team at Porsche Bethesda is excited to help you with all of your car’s tire service needs as well as other maintenance and repair services that are required over the years. We recommend that you call ahead to schedule an appointment with us to ensure prompt service. Make an appointment over the phone, or request service online.